Jeff Bridges and Stephen Colbert share a laugh while discussing Jeff’s latest documentary, Living in the Future’s Past, and the idea of pasta straws as a solution to plastic straw waste. Ellen takes on paper straws’ usefulness as a “race against time because you have to drink all the liquid you can before the paper closes up.” Conversely, switching to pasta straws is using your noodle. Mario Lopez Heads to Malibu with the family and gets a first look at The Amazing Pasta Straw offered at Paradise Cove. Pasta straws replace plastic at Bristol restaurant - A restaurant in Bristol has started serving straws made out of pasta with its drinks. Brace and Browns on Whiteladies Road says it uses them to cut down on plastic. Don't like plastic straws? Here's a solution you'd never have thought of (via BBC Radio Bristol). Creators ofThe Amazing Pasta Straw, Brent Ludlow and Tim Morris, joined the Good Day LA team live to talk about their product aimed at reducing plastic pollution and what led them to the idea. As Malibu bans plastic utensils and straws, restaurateurs are faced with challenges ahead. Necessity is the mother of invention and gave birth of The Amazing Pasta Straw right in the heart of Malibu, CA. Pasta Straws? Plastic restrictions force local businesses to get creative. A bill, which was amended by the Senate in June, states that full-service restaurants are prohibited to provide "single-use plastic straws to consumers unless requested by the costumer. Chippewa Falls Business Offers Pasta Straws - Bye the Willow beer and wine lounge in Chippewa Falls is now stocking pasta straws all in an effort to be more environmentally friendly. Local Italian restaurant chain, Lupa Osteria, ditched plastic straws for good after finding an alternative that's been under their noses the whole time. The Death of the Plastic Straw. Hotels, resorts, safaris, and cruises are increasingly banning plastic straws... A more creative option is uncooked pasta, which is currently being used at Paradise Cove Beach Café in Malibu and tested by Terranea Resort in Rancho Palos Verdes, California. What's for dinner? As plastic is targeted by environmental and municipal campaigns, restaurants are taking creative approaches to the problem. Would you like a pasta straw with your drink? Until 1888, the year serial inventor Marvin Stone patented his paper straw, if you sipped a drink at a bar, the device plunged into your cocktail was made of actual straw, as in a hollow stalk of ryegrass. But time-until-soggy was mere minutes, and straws leached a funny grass taste. Malibu moves to ban single-use plastic. In terms of environmental impact, there are alternatives to plastic straws — glass, paper, metal even. But each one had its particular flaw in the eyes of Robert Morris, who owns the Paradise Cove restaurant in Malibu, Calif. The latest: straws made from pasta. The good news about pasta straws is that, being made from flour and water, they can be added to the compost heap once you’re done with them. MALIBU, California/SEATTLE, Washington -- Local governments and large companies alike along the west coast of the United States are cutting down on plastic waste and the environmental damage it causes, and the Mainichi Shimbun took a closer look at these efforts and public response. The famed beach capital of Malibu in California was the first to issue a total ban of single-use plastic straws on June 1st. 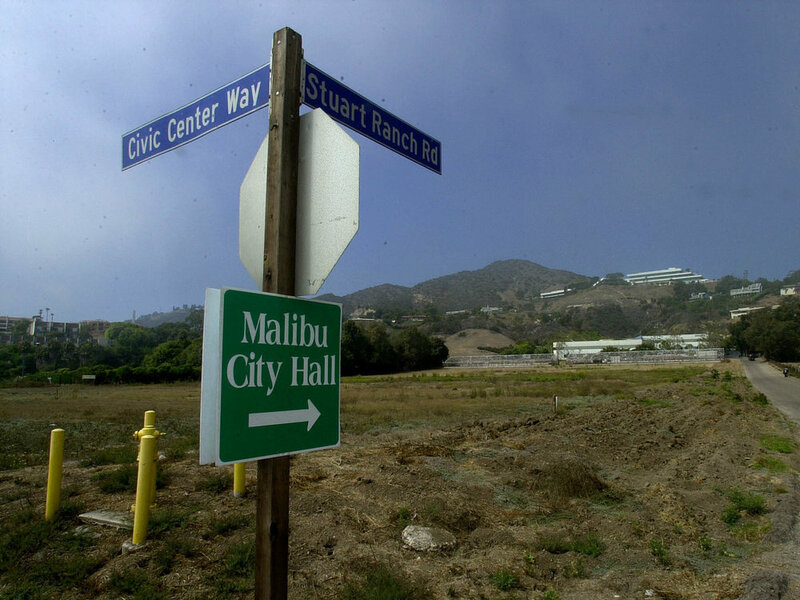 Mayor Rick Mullen says a ban by a well-known city like Malibu will help raise public awareness of the issue. As the late, great Sam Cooke sang, “I don’t know much about biology,” but I would venture to guess that straws made from pasta are even more biodegradable than paper straws, and they have a couple of additional advantages. While the city of Malibu’s new June 1 ordinance gives teeth to the plastic straw ban, many in Malibu already had a heart for the impact plastic can have on their beloved surroundings. 5 Eco-friendly Plastic Straw Options. [We] polled Desert Sun and DESERT magazine readers on Instagram to find out if they are already using eco-friendly alternatives – and, turns out, they are... Roger Lehner [says] "They last long enough in your drink without going soft, but decompose much faster than paper straws." Facebook: Using pasta as straws - why didn't we think of this?! Paradise Cove Beach Cafe is proving that pasta is always the answer. Facebook: These eco-friendly straws are a great alternative to plastic straws! While paper is a step in the right direction, they can still take 30-60 days to decompose. For a more eco-friendly solution, try The Amazing Pasta Straw! Instagram: Zooey showing us some love with an IG shoutout after a Heal the Bay charity gala at the Jonathan Club Santa Monica. Jeff Bridges does it again! When it comes to California’s new rules on plastic straws. Bridges had a good idea — one that will make all your drinks tastier — and the Oscar winner talks about it on our latest “Shoot This Now” podcast.